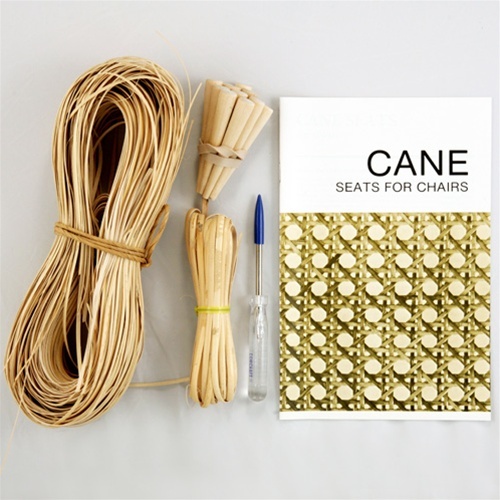 Natural chair cane is used in hand weaving a seat or back on chairs that have drilled holes in the frame. 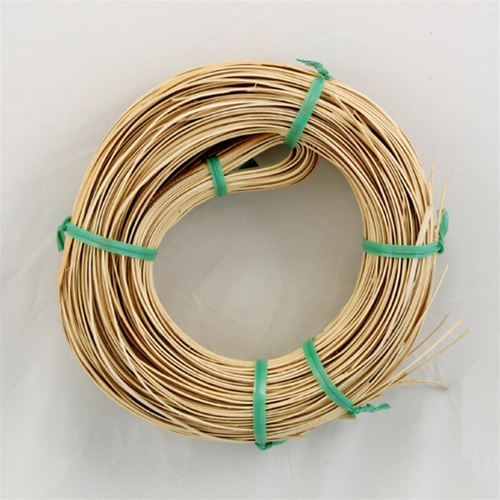 The method consists of weaving strands of cane through these drilled holes in the frame to form the desired patterns. The natural color variation, yellow to tan makes for a beautiful and natural hand worked effect. 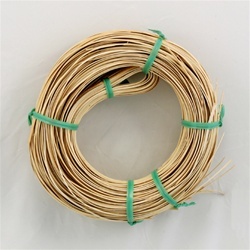 A piece of binder cane is included with the coils of cane.